The Lighthouse is an ideal location for your wedding and reception. All of our wedding packages include use of both of our beautifully landscaped lawns, our waterside patio, the banquet room (capable of seating up to 150 guests), and overnight accommodations in the upstairs inn. Our standard wedding package rates range between $6,000 - $8,000. Our luxury wedding packages range between $10,500 - $12,500. Please visit our contact page to setup a tour and request more information. 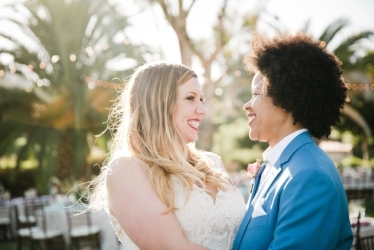 "My wife and I got married at The Lighthouse on 7/16 and we are SO glad we did! It was an absolutely magical experience and we are so in love with The Lighthouse! From the first time we walked on the property, we knew it was where we wanted to get married. It has incredible energy, is so relaxing and serene, private and intimate and beyond beautiful. Plus, the weather in Vallejo is always really nice (no fog!) and there is always a breeze at the marina! I really don't think there is a better venue in the Bay Area!" "HANDS DOWN BEST VENUE! Marie and Brittanie were an absolute joy to work with. 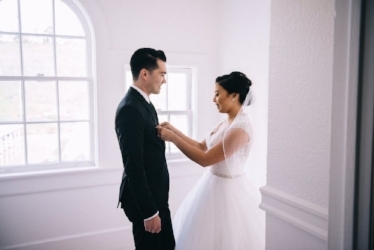 Their tentativeness and care made wedding planning a breeze. They knew exactly how to calm my anxieties and worries towards my big day!"